You may already know that CIMCO DNC-Max provides end-to-end functionality designed to make every aspect of CNC communications more reliable and efficient. What you may not know is that to meet the demands in the marketplace for an open and scalable solution CIMCO also offers a Application Programming Interface (API) and remote control application to give users the ability to get more out of the system. 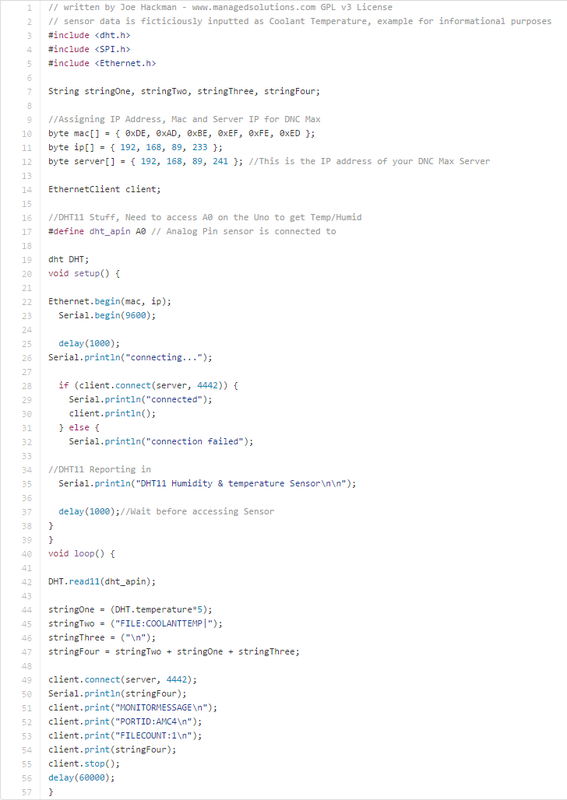 If you are writing an application that needs to use DNC-Max there is also an API that gives more options than using the remote control application. The API documentation can be supplied on request to CIMCO. Feel free to contacts us to make a formal request on your behalf. Python is an incredibly useful programming language. 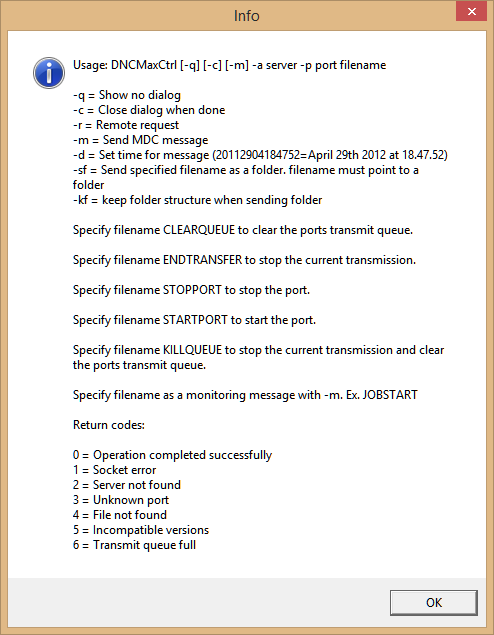 It is frequently “glue” for some of our projects and customizations of CIMCO Software. 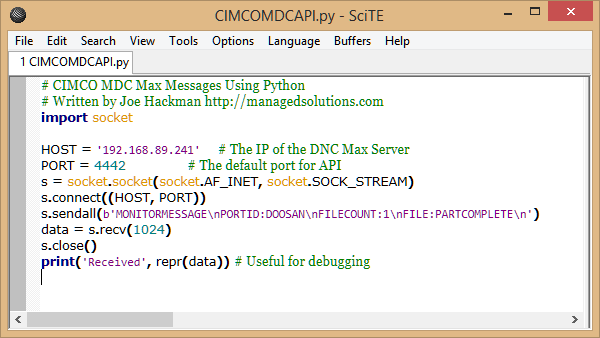 In this example we are using Python to send a string to CIMCO DNC max to add a MDC message. 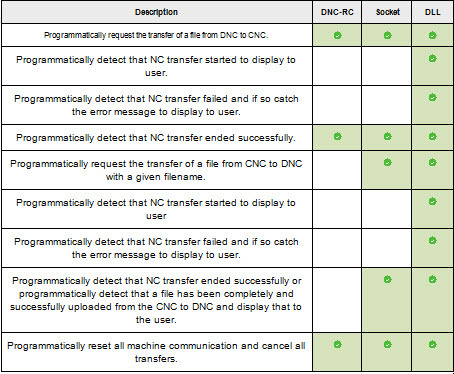 This is actually bypassing the DNCMaxCtrl.exe and acting directly over TCP/IP which may be useful in some cases. Arduino, Raspberry Pi and other micro-controllers/computers are useful devices for prototyping advanced automation or implementing non-mission critical features in your environment. In this example we use a Arduino to read the input from an analog temperature/humidity sensor (DHT11) and present the data as if it were the coolant temperature of a CNC Machine. Click Image to view on Github. Here is the resulting temperature reading in our demo system with custom values added for Coolant Temp as well as a CT alert button for over temp conditions. Video not displaying? Try here. If you are still reading this page, you probably like to tinker like to come up with creative ways to improve manufacturing environments. We’d love to hear about your small and big dreams using technology and creativity to improve your business. If you are trying to do something and need some “glue” to tie everything together, you came to the right place. We’re not big on painting by the numbers, it’s fun to dig in and create new innovative solutions to real world problems. Let’s talk!